﻿﻿ Join us in celebrating all you and your horse have accomplished this year at our yearly banquet! This is NDA's only all-member meeting each year, and it's where we elect our new board members and officers. We also hand out year-end awards, have a great social gathering, and catch up with friends! Registration deadline extended—please RSVP ASAP! Please consider donating to our Silent Auction! Don't forget to submit your 2018 Volunteer Hours and your year's scores by October 5, 2018 in order to be eligible to win year-end awards! Are you interested in serving on the NDA Board of Directors? We'd love to have you! Every year, we elect at least three new members to the Board, each serving a term of three years. What are a board member's responsibilities? You may be wondering, "If I am elected, what exactly will I be expected to do?" 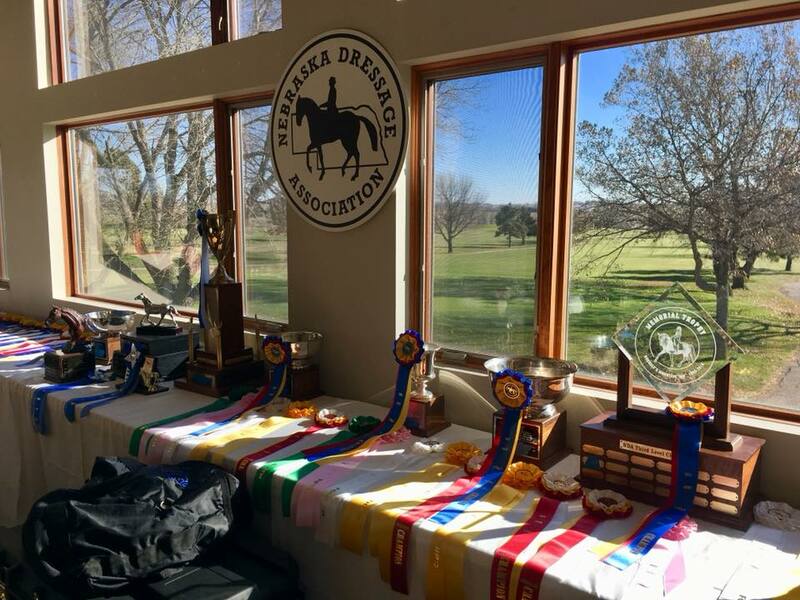 Basically, this is your chance to help shape NDA into the best, most educational, most successful dressage organization it can be. If you've got ideas, we want to hear them! How do all the different board positions work? At the annual meeting, the NDA members will hold a general election to select our new members for the Board of Directors. Once the new Board of Directors is in place, the officer appointments will take place. I don't know...I've never done anything like this before. It's okay—we're friendly! You don't have to have any previous experience working on a Board of Directors—though if you have, that's great, too! Whether this is your first time, or you've run for (or served) the NDA Board in the past, you are completely and totally welcome. We're looking for people who have great ideas and a desire to promote dressage in our community. Okay, I want to throw my hat in the ring! How do I do it? Great! We're super-excited to have you! To nominate yourself, all you have to do is send us a short bio describing yourself, your history in the dressage community, and what you might bring to NDA. Before the annual meeting, we will email the bios to the NDA membership to review. At the annual meeting, you'll be asked to introduce yourself, and then the election will be held. If you are elected, your term will begin on January 1, and your first NDA meeting will be during that month. And remember—you must be an NDA member in good standing to be on the board, so make sure you renew your membership for 2019! You can do so at the annual meeting or online after September 30, 2018. I don't want to run for the board, but I do want to vote. What do I need to know? First, if you know anybody you think might make a good board member, PLEASE share this information with them and encourage them to nominate themselves! Then, make sure that you are at the NDA Annual Meeting and Year-End Awards Banquet so that you can cast your vote during the election. If you can't be there, you may assign another NDA member to vote on your behalf (by proxy). Your proxy must be an NDA member in good standing and must be present at the annual meeting. Just fill out the proxy box on the Banquet Registration form. Just a few of the awards and ribbons given away at the 2017 Awards Banquet. 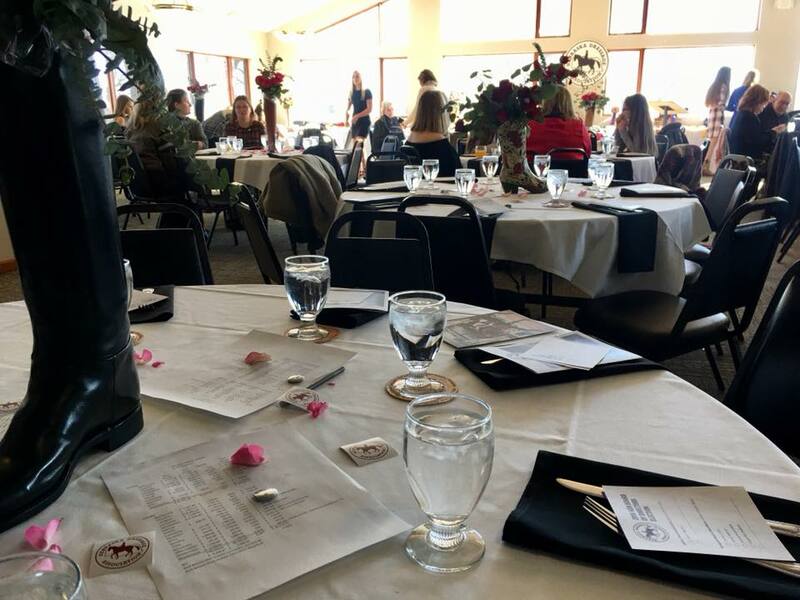 2017 Awards Banquet (brunch) at the Ashland Golf Club. 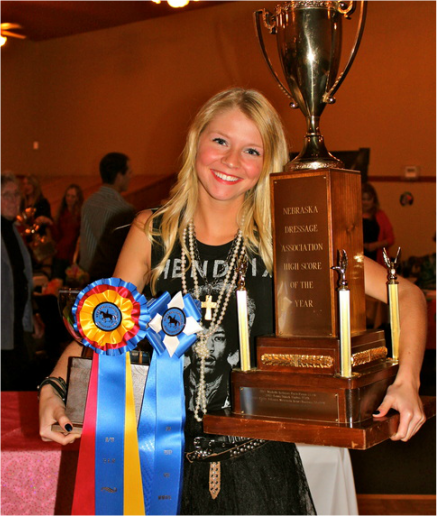 Winner of the 2014 NDA High Score of the Year award, Casey Blum, at the 2014 Awards Banquet. 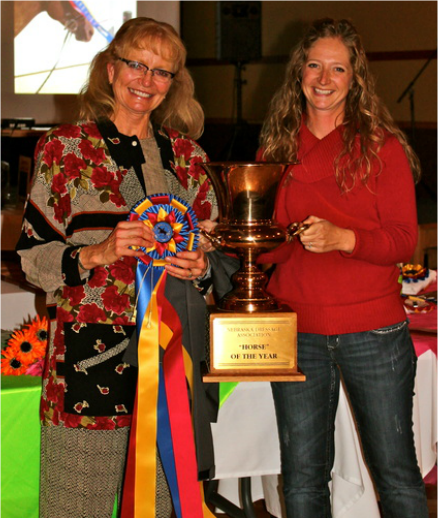 Owner and rider of the 2014 Horse of the Year, Laureen Van Norman with her trainer, Jami Kment, at the 2014 Awards Banquet. 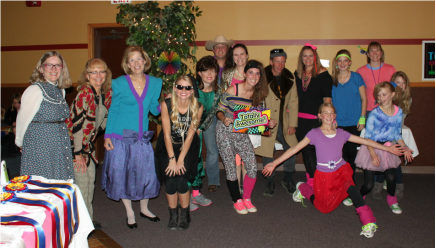 The awards committee (left: Kathy Hanford, Laureen Van Norman, and Karin Nilsson) along with all the costume contest entrants at the 2014 Annual Banquet. 2012 NDA President, Heidi Helmer, with the finalists in the costume contest at the 2012 Annual Banquet and Awards Dinner. Loye Jaeger, Felice Rose and Kristina Wang at the 2010 Annual Awards Banquet.